Eating tasty vegetables and herbs from your backyard garden can be such a joy to the heart. In our last post we talked about why you need to grow your own food and how easy it is. If you missed it, see here. 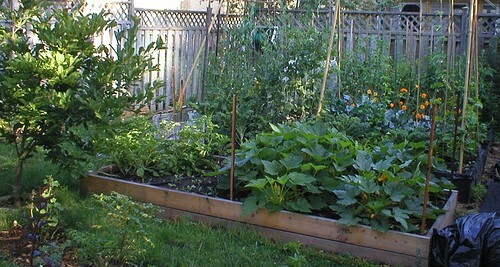 Now you have cleared some space for your garden and you are ready to grow as much healthy food as you can manage. But, what do you grow? Which crops should you plant first? How easy are they for you to maintain? And very importantly are they plants you can eat? We have curated a list of vegetables and herbs you can start with. Not to worry, they are quite easy to plant and very rewarding too. 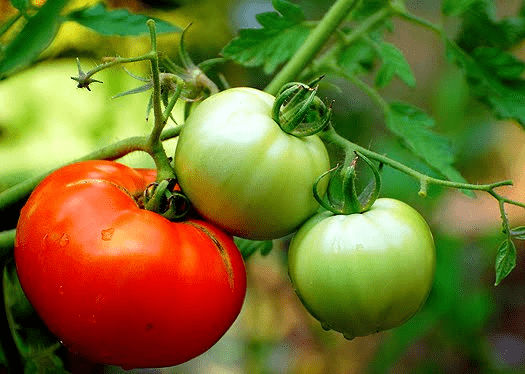 You can grow tomatoes in baskets or containers decked out on your kitchen counter or in your small backyard garden. The key thing is to plant them anywhere they’ll get lots of sun and support for their stalks. For the smallest amount of work possible, we recommend the smaller varieties of tomatoes such as cherry tomatoes. With these small varieties, you don’t have to worry about issues like splitting or blossom end rot. Even with a bit of neglect, such as forgetting to water them, it’s not a big deal. Bonus: if you plant some basil next to your tomato plants, you’ll be repelling pests naturally and even improving the flavour of the tomatoes. This plant is amazing—we are biased because of its aromatic leaves! Basils are quite easy to plant either in your kitchen or outdoors and like tomatoes they need to be exposed to about 7 hours of sunlight. The same applies for potted basil plants you are growing outside. Basils react well to well-drained soil. If you are growing yours in containers, then you need to make sure it has good drainage holes. Don’t forget to prune it which will result in more basil so you need to figure out how you will handle the overflow. cucumbers love sunlight and warm temperatures! An amazing plus, because of their length they grow perfectly well in containers. Once you can guarantee sunlight as well as constant watering, it grows like weed! When your cucumbers look big enough to eat or slice, harvest them every couple of days. This prevents them from getting yellow. Tip: You should keep the soil moist to prevent the fruit from becoming very bitter. These are a must-have! Worried about the difficulty? you don’t have to be! They are quite easy to grow. The only thing about carrots is they might not grow very large like the ones you buy in the market, especially if you have a rocky soil. Want healthy carrots? You need a deep, well-drained soil. Still nothing to worry about, they are simple and fun to grow. Like the other plants listed above, they also want a lot of sunlight, but if you can’t manage that, they can make do with a light shade. Your garden isn’t complete without planting some green beans. You don’t have to worry too much about the type , all sorts of green beans are ideal for the home garden. Again most beans prefer exposure to full sun and well-drained soil. 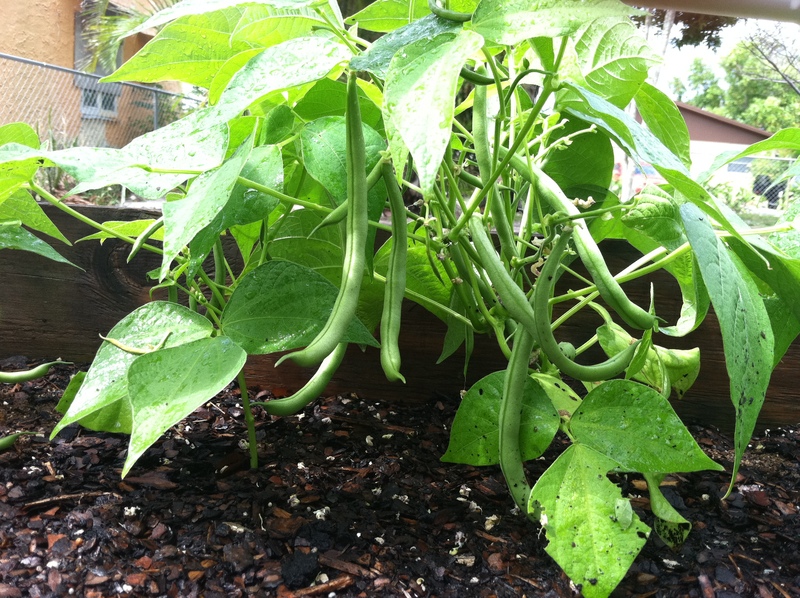 Tip: Green beans should be picked at an immature stage when the seeds have not fully developed. When storing, make sure to use a moisture-proof airtight container in the refrigerator. Doesn’t mean you can store them forever though, beans will toughen over time even when stored properly, but not to worry, there’s plenty where you harvested them from. Have a thing for lettuce in between thoroughly buttered bread slices? Almost everybody does! And you can have fresh supplies right in your garden. For one, it grows quickly and it is very easy to harvest—- All you have to do is snip the tops off the plants or pick as many leaves as you need; and it needs very little space so no panic. They are so stress free that they can even grow in containers. Tip: You should harvest lettuce in the morning after the plants have plumped up all night with water. Picking them on a hot day means wilted lettuce that will be hard to revive even when rushed to the refrigerator. You should also rinse your lettuce thoroughly with cool water. Not only are they superb for bolstering your immune system, they perform wonders by neutralizing bad breath. As a natural antibacterial remedy, parsley can bolster your immune system and neutralize bad breath. 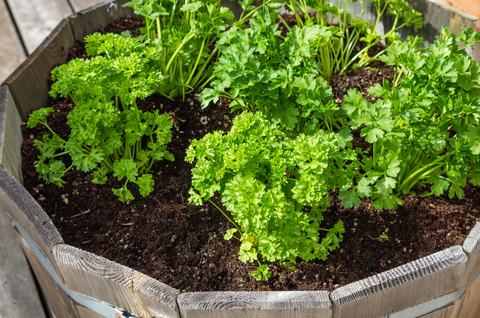 To grow your own parsley, you start indoors and then transplant outdoors later. You should know, in the second year of growth, once the flower stalk becomes visible, parsley acquires a bitter taste and becomes unpalatable. Tip: Pregnant women need to stay away from this herb as it has been said to induce uterine contractions and is capable of causing miscarriage.